Valerie Sanjali Irons is an artist, sound alchemist, breathwork practitioner and kirtan wallah practicing in Sedona, AZ since 2014. 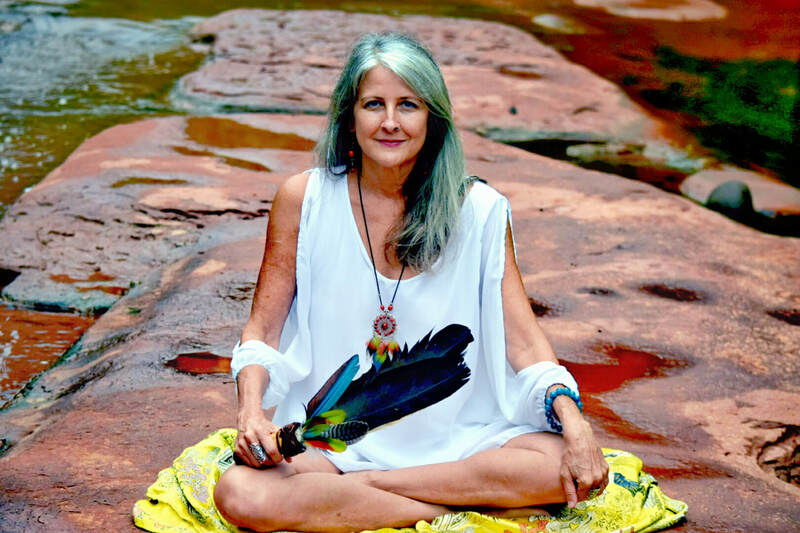 She began bringing kirtan to Sedona in 2010 with her company Bhakti Tribe Sedona. She founded Sanjali Healing Arts in 2018, bringing all her modalities together. She is immersed in the world of sacred sound and offers private sessions - “Soundwave Journeys” - using her Soundwave Bed™, as well as group sound healing journeys. Additionally, she incorporates sound healing in the Shamanic Breathwork sessions that she facilitates. She released her first kirtan cd, Devaprana “An Offering To the Gods” in November of 2016. She continues to paint and sculpt, as well as teach “Sacred Creativity” workshops. She is dedicated to divine healing through the arts. Inspired by divine love, she is deeply grateful.